Presenting the Dutch techno master Bas Mooy. Complete with an exclusive tough set workout for Mantis Radio. 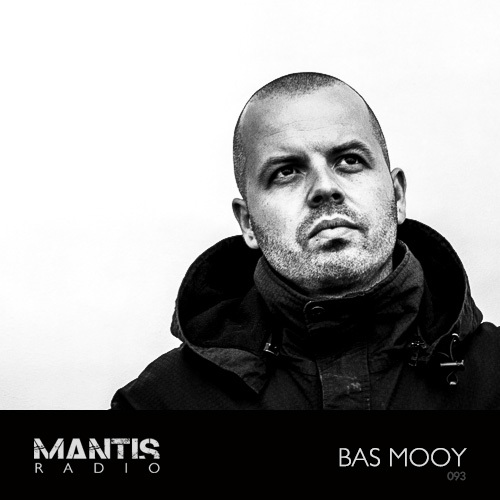 Bas Mooy has been on our showcase shortlist for a while and I’ve little doubt his exclusive session for Mantis Radio is well worth the wait. Based in Rotterdam, since 1999 Bas has been leaving a trail of techno flavoured destruction for all to hear. Heavily influenced by his self-described industrial strength 24-7 city, his dark sound is a stable requirement of many of the world’s finest and respected DJs and clubs. Together with Jeroen Liebregts of the brutally essential Radial in 2002 Bas opened the floodgates with Audio Assault, one of the go-to labels for industrial hard and dark techno. One year later the sub-label ARMS began its onslaught. Since then both the labels and Bas have consistently delivered. Bas as a DJ has continues to perform around the world and is a regular at the Dutch Awakenings parties. As a producer his work is never out of favour and finds homes on labels Planet Rhythm, Roots, Fine Audio Recordings, Naked Lunch, Impact Mechanics, Submissions, Patterns, Blank Records together with his own imprints; Audio Assault and ARMS. Recent releases include his Uniform of the Outsider EP and a joint EP with Exium: Untitled both on Planet Rhythm. Forthcoming you can expect remixes for H229 on Nachtstrom Schallplatten, Dead Sound on Elektrax, Go Hiyama on Gynoid, and Mutate on Blank Code. He’s more original production work in the pipeline as well including releases for Luke Slater’s Mote Evolver, Perc Trac, Go Hiyama’s Blank, Gynoid, Audio Assault and an upcoming album on his new label Morderstwo. More details on that one soon. A new CD is planned for March/April release in 2012 AND he’s working on a studio collaboration project with Darkfloor fave Dead Sound. A productive and prolific producer then. Strap yourself in, it’s a proper ride this one.